Danish wind energy giant Orsted completed its previously announced takeover of Deepwater Wind from D.E. Shaw group in a deal valued at $510 million. The company closed the transaction of acquiring 100% of equity stake held by D.E. Shaw group in Deepwater Wind, which was announced in October this year, after securing approval from the US competition authorities. 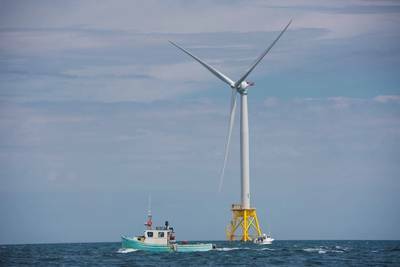 The new combined organization—Ørsted US Offshore Wind—will be able to deliver clean energy to every coastal state in the densely-populated east coast corridor between Massachusetts and Virginia. Seven states in that region have already committed to build more than 10GW of offshore wind capacity by 2030. The new company launches as the clear leader in the US market, with the most comprehensive geographic coverage and the largest pipeline of development capacity, totaling over 8GW. Following the official close of transaction, Ørsted US Offshore Wind will be led by a management team headed by Chief Executive Officer (CEO) Thomas Brostrøm of Ørsted, Co-CEO Jeffrey Grybowski, President and Chief Commercial Officer (CCO) David Hang, both originally of Deepwater Wind, and Chief Operating Officer (COO) Claus Bøjle Møller of Ørsted. Ørsted US Offshore Wind will be joint headquartered in Boston, Massachusetts and Providence, Rhode Island. The company will begin integration over the coming weeks and months and is further strengthening its presence in other key markets.